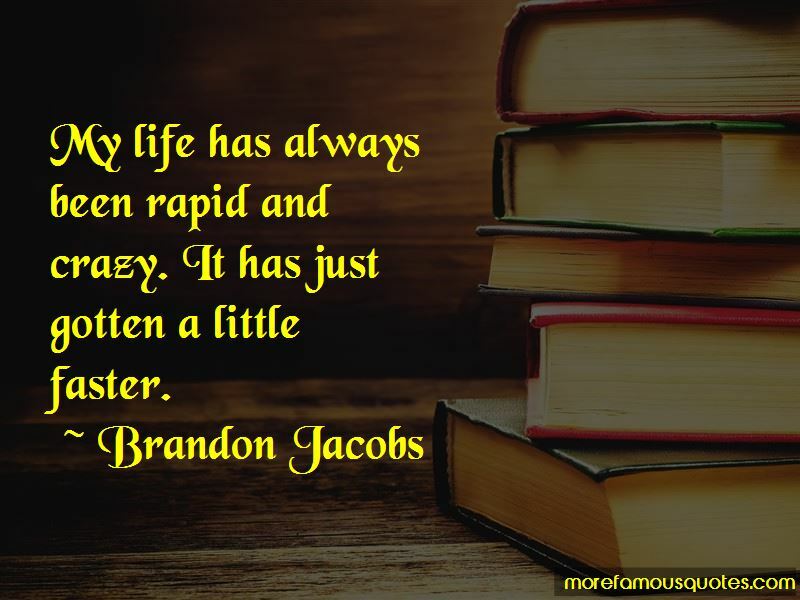 Enjoy the top 21 famous quotes, sayings and quotations by Brandon Jacobs. I have a soft side that I like people to see. I'm not mean. That's just football. That's just the way you've got to go. 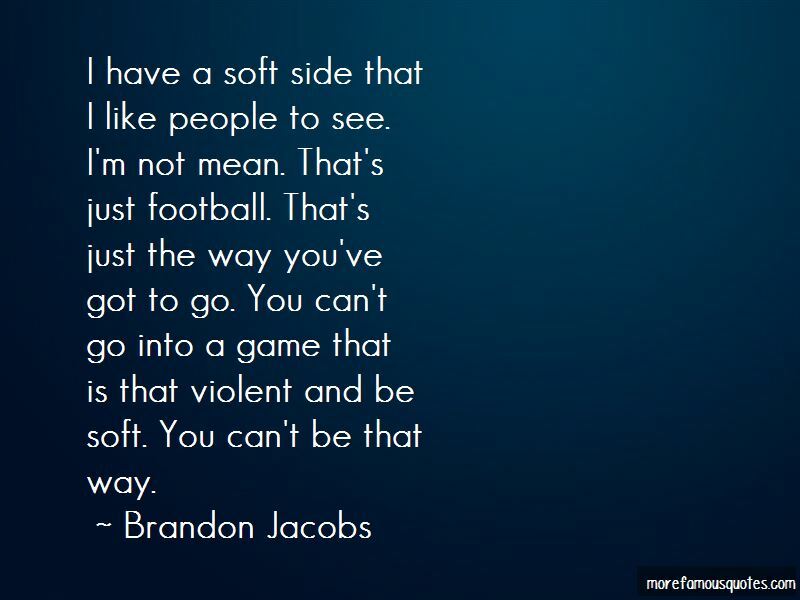 You can't go into a game that is that violent and be soft. You can't be that way. I'm looking to show people I'm a running back. I can be in the NFL as long as any other back. I went late in the draft because no one thought I could do it. I just want to be happy. I want to be happy and be able to finish my career in the right way. 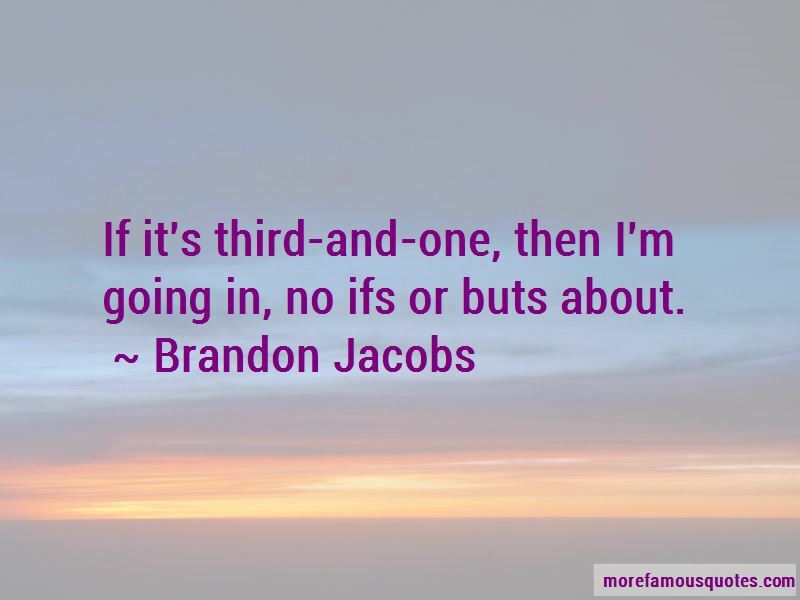 Want to see more pictures of Brandon Jacobs quotes? 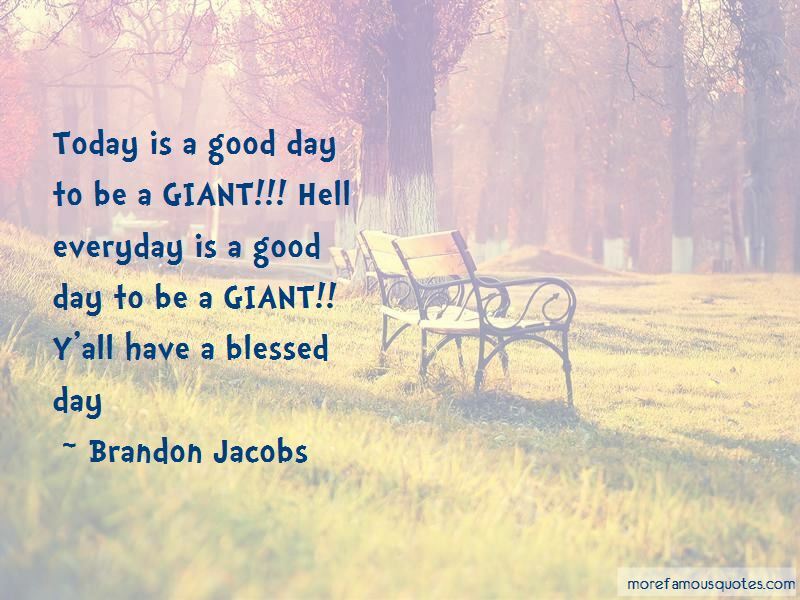 Click on image of Brandon Jacobs quotes to view full size.